"Queen of the Netherlands" redirects here. For the ship, see Queen of the Netherlands (ship). 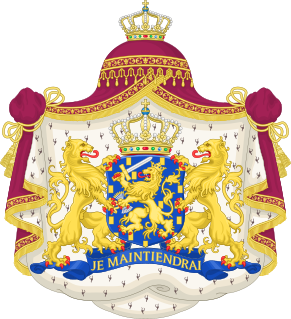 This is a list of monarchs of the Netherlands (Dutch: Koningen der Nederlanden). By practical extension, the list includes the stadtholders of the House of Orange Nassau since 1556. However, they were voted into office by and were civil servants and generals of the semi-independent provinces of the Dutch Republic and cannot be seen as monarchs. From William IV they were the direct male line ancestors of later monarchs when the monarchy was established in 1813 (first as a Sovereign Principality, but in 1815 as a Kingdom). The origin of the Dutch monarchy can be traced back to the appointment of William I, Prince of Orange as stadtholder of Holland, Zeeland and Utrecht in 1559 by Philip II of Spain. However, he was removed from office and became the leader of the Dutch Revolt. Consequently, the States-General appointed him as stadtholder of both rebelling provinces, Holland and Zeeland, in 1572. During the Dutch Revolt, most of the Dutch provinces declared their independence with the Act of Abjuration, signed on 26 July 1581 in The Hague in conformation with the decision made by the States-General. 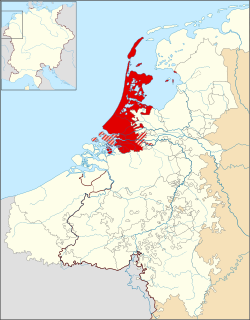 The representative function of the stadtholder became obsolete in the rebellious northern Netherlands – the feudal Lord himself having been abolished – but the office nevertheless continued in these provinces who now united themselves into the Republic of the Seven United Netherlands. All stadtholders after William I were drawn from his descendants or the descendants of his brother, who were also the descendants of his granddaughter Albertina Agnes of Nassau-Orange. In 1795 the Republic was overthrown by Napoleon and replaced with the Batavian Republic. 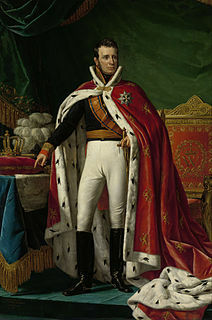 In 1806 Napoleon abolished the new republic and made his brother King of Holland. However, in 1810 Napoleon invaded the Netherlands and annexed them to France. In 1813, Allied forces drove out the French. The Dutch called back William Frederick, the son of the last stadtholder, to head the new government. He was proclaimed "sovereign prince". In 1815, he raised the Netherlands to the status of a kingdom and proclaimed himself King William I. The kingdom was enlarged with the Southern Netherlands, now Belgium and Luxembourg, soon after. The Batavian Republic was the successor of the Republic of the Seven United Netherlands. It was proclaimed on 19 January 1795 and ended on 5 June 1806, with the accession of Louis I to the throne of Holland. From October 1801 onward, it was known as the Batavian Commonwealth. Both names refer to the Germanic tribe of the Batavi, representing both the Dutch ancestry and their ancient quest for liberty in their nationalistic lore. When William III died childless, the patrilineal ancestry of Orange-Nassau became extinct. In contrast to other provinces of the Dutch Republic, Friesland, Groningen and Drenthe had mostly drawn its stadtholders from the House of Nassau, that starting with John VI, the brother of William of Orange, and comprises in addition a matrilineal ancestry with the house of Orange-Nassau. Groningen is the main municipality as well as the capital city of the eponymous province in the Netherlands. It is the largest city in the north of the Netherlands and has approximately 230,000 inhabitants. The Groningen-Assen metropolitan area has about half a milion inhabitants. Groningen is an old city and was the regional power of the north of the Netherlands, a semi-independent city-state and member of the German Hanseatic League. Groningen is a university city, with an estimated 31,000 students at the University of Groningen, and an estimated 29,000 at the Hanze University of Applied Sciences. Drenthe is a province of the Netherlands located in the northeastern part of the country. It is bordered by Overijssel to the south, Friesland to the west, Groningen to the north, and Germany to the east. In January 2017, it had a population of 491,867 and a total area of 2,683 km2 (1,036 sq mi).